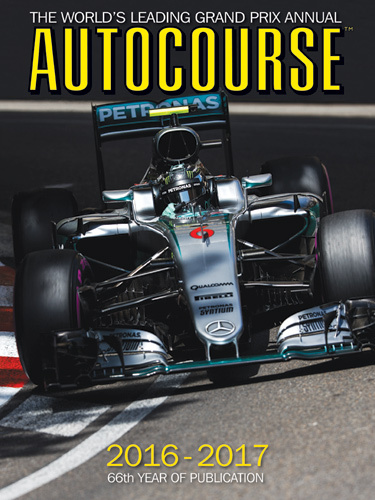 Autocourse bills itself as the world's leading Grand Prix annual and the book is most certainly that. Autocourse covers Formula 1 exhaustively--every race, every team, plus all the intrigue and politics that are essential to F1. But Autocourse is much more because it covers all aspects of international motor racing from GP2, GP3, F3 and the other international open-wheel formulae to the WEC, sports car, GT and touring car racing as well as the North American scene. In this day and age Autocourse stands without doubt as the world's finest, most complete auto racing annual. Published in the UK by Icon Publishing the large format coffee table book fills more than 400 pages and is completed by more than twenty pages of detailed 2016 statistics. Steve Small and Bryn Williams are the dedicated souls who own and operate Icon Publishing. They also publish Motocourse, the world's leading motorcycle racing annual. The 2016-2017 edition of Autocourse is the 66th, starting in 1961. Complete collections are extremely valuable in both price and content. My personal collection begins with the 1966 edition. The books provide a tremendous trove of historical resources as well as filling more than three shelves in my library. Autocourse was edited from 1988-2010 by the late Alan Henry, an old friend, wonderful man and proper old-school journalist. AH passed away last year following a long battle with Parkinson's disease and is suitably profiled in the books Appreciations section. Autocourse's current editor is Tony Dodgins, another old friend with more than thirty years experience covering European racing and F1. Tony tackles the annual task of selecting the book's top ten F1 drivers. He's also written a feature story about Nico Rosberg's long road to the world championship and surprise retirement, another about the history and intrigue that led to Ron Dennis's toppling from power at McLaren, and a third with Christian Horner discussing why he believes Red Bull enjoys the strongest team of drivers for 2017. All 21 2016 Grand Prix races are covered in great detail by Dodgins and veteran journalist Maurice Hamilton complete with individual statistics. Hamilton is one of F1's most respected writers who preceded Alan Henry as Autocourse's editor. Each F1 car and team is analyzed in great detail by Mark Hughes, Motor Sport's Grand Prix editor who provides unrivaled technical knowledge about all the cars and engines, or power units as they're now known. Adrian Dean supplies equally superb illustrations of the cars. Statistics throughout the book are compiled by David Hayhoe while Peter J. Fox is Autocourse's chief photographer. Autocourse is rounded-out by reviews of GP2, GP3, Formula V8 3.5, Formula 3, Formula E, Sports and GT racing (by the estimable Gary Watkins), touring cars and finally US racing. 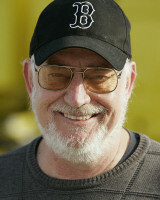 This is my 44th year writing Autocourse's US review which occupies twenty pages at the back of the book. As usual, I write about NASCAR, IndyCar and its ladder system, and IMSA too. I've also written my own appreciations of the great American racing personalities we lost in 2016. Autocourse is available in the USA from Motorbooks in Minneapolis, www.motorbooks.com. It retails for $79.95 US or $95.95 CDN. For any serious racing enthusiast the book is an essential read.